St. Petersburg court sentences murderer of prominent journalist Tsilikin to 8.5 years | Russian Legal Information Agency (RAPSI). ST. PETERSBURG (RAPSI, Mikhail Telekhov) – The Kalininsky District Court of St. Petersburg has found student Sergey Kosyrev guilty of murdering prominent Russian journalist Dmitry Tsilikin and sentenced him to 8.5 years in a penal colony, RAPSI reports from the courtroom on Tuesday. The case was heard behind closed doors because the crime had been committed against the sexual inviolability and sexual freedom of a person. The public hearings could lead to divulging of sensitive information regarding participants in the case. According to investigators, Tsilikin met Kosyrev online on one of the social networks. On March 27, 2016, Kosyrev visited the journalist with whom he had befriended online. Investigators allege that the student killed Tsilikin during a quarrel, stole his laptop, mobile phone, money and fled the scene. The body of the 54-year old journalist was found in his apartment on the night of March 31. According to preliminary findings, he died from multiple knife wounds. Kosyrev was arrested on April 7, 2016, after investigators had examined Tsilikin’s conversations on one of social networks. The student pleaded guilty to murder but denied involvement in the theft. He was found guilty of all charges. 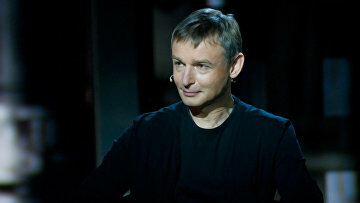 Dmitry Tsilikin was an editor of “Culture and society” section in the “Chas Pik (Peak Hour)” newspaper. He was also an author and host of multiple TV- and radio-shows, his works were published in numerous newspapers and magazines. 15:00 30/05/2017 The Kalininsky District Court of St. Petersburg has found student Sergey Kosyrev guilty of murdering prominent Russian journalist Dmitry Tsilikin and sentenced him to 8.5 years in a penal colony.